Energy is the source of many world conflicts. We are a society based on fossil fuels, a non renewable resource with climate implications. With Exponential Technology we can change all that. It’s hard to truly appreciate the power of technology to turn an industry upside down, but this is exactly what happened with Natural Gas. A relatively unsophisticated technology called Fracking has redefined the economics of an industry. By forcing pressurized fluid into Shale Gas, we now have practically an unlimited supply of Natural Gas. Fracking drove the price per unit from $12 in 2008 to $3 in 2013 – a 75% drop. Thinking Exponentially, we can use Synthetic Life to create fossil fuels. Civilization generates most of our energy from coal (21%), petroleum (36%) and natural gas (24%). All three use carbon structures to store energy released in the form of heat. What if we created an artificial bacteria or algae that did nothing but generate complex carbon molecules? Then you would have a way to replacing irreplaceable fossil fuels. Using carbon dioxide from the atmosphere, salt water from the oceans, and sunlight as a power source, synthetic life would turn the energy industry upside down. Exxon has committed $600 Million with Synthetic Genomics (SGI – CEO Craig Venter of Genetic Sequencing) to do exactly that. 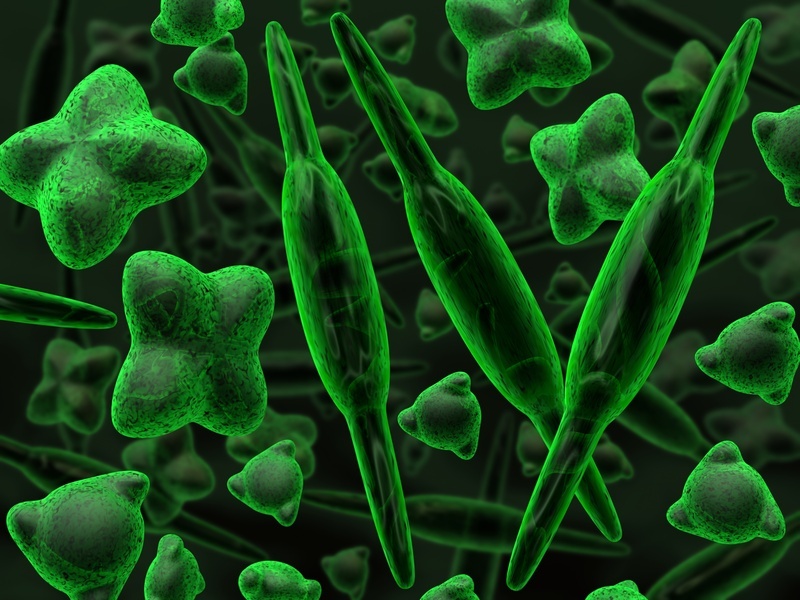 Using algae they are attempting to create artificial life that generates biofuels all day long. Its amazingly effective, generating up to 10,000 gallons per acre per year. Corn produces 20 gallons. SGI’s approach is up to 500 times more efficient. Unlike corn, the bio-source is not harvested, you just collect the oil and leave the algae. SGI is not the only one, there are at least 5 other similar projects including the DOE. There are three key benefits to using synthetic life to create fossil fuels. First, we are not using up a non renewable resource. Second, we are not pumping chemicals into the ground to improve extraction. Third, we are removing carbon from the atmosphere. Its a win all around. By Thinking Exponentially, the dropping price of Synthetic DNA combined with crowd sourced funding, anyone can begin work in this field. 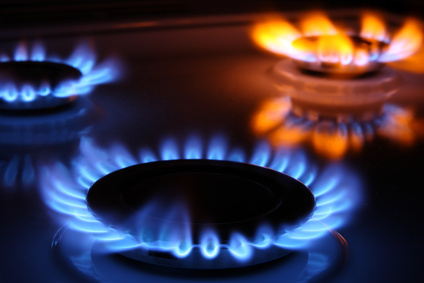 Imagine a Kickstarter project to create an alternative method for synthetic Natural Gas. A garage scientist could do it using DIY Bio, Genome Compiler, and DNA printers. The impact would be profound, it could potentially make the fracking industry uneconomical. There is another key economic impact: the Alberta Oil Sands is a $30 billion dollar investment and the controversial Keystone Pipeline is required to move the oil south. It will take 20 years to build out the heavy oil facilities into full production. Longer to recover the investment. If a simple technology like fracking changed the economics of Natural Gas in only 5 years, imagine the impact of synthetic biology over 20. Algae alone could potentially disrupt the fossil fuel industry in a decade. When a new technology reaches the tipping point to replace a traditional approach, the attitude of the investment community changes. Exponential technologies grow geometrically in capability, industries based on heavy infrastructure – not so much. Exponential change is likely to create many disruptive products and services. The future is in ideas that leverage such change. I expect that in 20 years, we will have made dramatic strides in cleaner and cheeper energy. Long term mega projects need to looked at thru the lens of exponential change. As an aside, I noticed a chart that Rep Paul Ryan put up not long ago … he straight lined is projections to the year 2080. Really! I agree, its remarkable how many billion dollar projects with a 20-30 year ROI are built without taking into account advances in technology. I remain unconvinced that many super projects will ever break even.